"Brandt Snedeker is a very straightforward selection. He has form at the courses that correlate with Copperhead and he was eighth here in 2008 and fourth in 2011. He won the Wyndham Championship on another venue that’s not too dissimilar to this one last year and he was fifth at Sawgrass on Sunday." Having first been staged in the autumn of 2000 as an opposite field event, the Valspar Championship switched to its now usual March slot 12 years ago. The tournament has grown in stature over time and this year it's the final event in a four week long Florida Swing. Designed by Larry Packard, Copperhead was opened in 1974. Prior to the establishment of this event the course was restored in 1999 and it underwent a $4.5m restoration after the 2015 renewal. The changes were subtle, with greens and tee boxes expanded, creating more pin positions and bringing the re-shaped bunkers closer to the putting surfaces. All the fairways were re-grassed with Celebration Bermuda and the greens re-grassed with Tif Bermuda. It's a tough undulating, tree-lined track with many dog-legged fairways. Water is in play on a number of holes and the greens usually run at around 11 on the stimpmeter. The four par fives (holes one, five, 11 and 14) were the easiest holes on the course last year (as they are most years) and the last three holes are tough and known as 'the Snake Pit'. With water right and trees left, there's no bailout off the tee whatsoever at the par four 16th. It ranked as the hardest hole on the course last year (averaging 4.3) and it very often has a say in the outcome of the tournament. The 2017 winner, Adam Hadwin, double-bogeyed the hole to go from long odds-on to odds-against but he was still able to prevail when his nearest challenger, Patrick Cantlay, bogeyed the last. The par three 17th is no cakewalk (averaged 3.17 last year) and you need to get your drive away nicely on the tricky 18th, which last year ranked as the fifth hardest hole. Copperhead has been the host course for the Valspar Championship since its inception and it's been the first or second hardest par 71 encountered on the PGA Tour in each of the last six years. Dry and sunny, with gentle winds across all four days - click above link for the full details. Live all four days, with live Featured Group coverage on Sky Sports from 12:45 on Thursday and full coverage from 19:00. What Will it Take to Win the Valspar Championship? 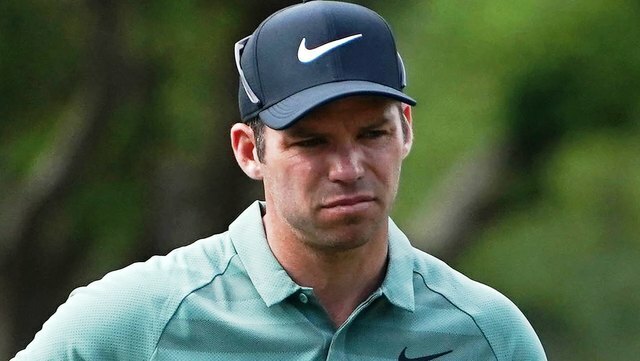 Last year's winner, Paul Casey, is a fairly big hitter and he ranked 17th for Driving Distance but the six winners before him only averaged 39.2 for DD so bombing it off the tee is not the way to get it done here, but Driving Accuracy is far from a vital stat either. Casey only ranked 68th for DA, Hadwin ranked a slightly straighter 27th but the two winners before Hadwin, Charl Schwartzel and Jordan Spieth, won despite ranking just 66th and 51st for fairways found. Finding the smaller than average greens is usually key to victory though. Casey only ranked 30th for Greens In Regulation but the next three on the leaderboard ranked Tied eighth, tied eighth and tied second for GIR and a year earlier, four of the first five home ranked inside the top five for Greens In Regulation. So far, 12 of the 18 course winners to date have ranked 11th or better for that stat. Casey's Putting Average ranking was seventh and the three winners before him had a Putting Average ranking of second. And Retief Goosen (when winning for the second time here in 2009) is the only winner to date that didn't rank inside the top-20 for that stat. An ability to handle windy conditions is usually an essential prerequisite anywhere in Florida but at this early stage the forecast doesn't suggest we'll experience very blustery conditions, although a morning start on Thursday maybe beneficial. What breeze there is on Thursday is forecast to be stronger in the afternoon and it's the other way around on Friday. This isn't your typical Florida type of test so looking at results at other events in the state won't necessarily help but a great place to start is Josh Culp's futureoffantasy website, where you can find list of the top performers on Bermuda greens and there are two courses appear to correlate. John Huston, K.J Choi, Vijay Singh and Jim Furyk have all won both this event and the Sony Open at Waialae Country Club. Lots of players have been placed at both events and some have been placed in one and won the other and multiple Sony winner, Ernie Els, traded at odds-on here in 2012. Four men have also won this event and the John Deere Classic - two of the last five winners of this one, Jordan Spieth and John Senden, Sean O'Hair and Vijay Singh, and it should really be five. The 2016 John Deere Classic winner, Ryan Moore, threw this one away four years ago. The 2017 John Deere winner, Bryson DeChambeau, only finished 27th here on debut here two years ago and he withdrew 12 months ago but even he has form at both courses given he won the 2014 All-American athlete conference championship at Copperhead, and I see that Brett Quigley, who never got to win on the PGA Tour, finished second in both events, so that's definitely an event to consider. Casey was a funny winner last year. He was in fair form coming in but he hadn't won on the PGA Tour in nine years and his course form figures read 42-37-MC-MC, yet he only went off at around 28/1. Although in decent form, Hadwin was something of a surprise winner 12 months ago. He was matched at [120.0] before the off and he didn't really fit the mould of a normal Valspar winner. Like Casey, his course form wasn't anything to write home about either and this was his first win on the PGA Tour. The two winners before Hadwin, Jordan Spieth and Charl Schwartzel, were both major champions and so too were four other previous Valspar victors - Vijay Singh, Mark Calcavecchia, Retief Goosen, and Jim Furyk. Casey has the game to win a major, former world number one, Luke Donald has won here and K.J Choi contended plenty of majors to. This is a true test, where patience and guile count for plenty so it's no surprise to see so many high-class winners. Despite the last two results, course form stands up well here and in its relatively short history, we've seen two men win the event twice and a number of winners have also finished runner-up. Choi and Goosen are the two that have claimed the prize on multiple occasions and Choi is one of five winners to have also finished second. 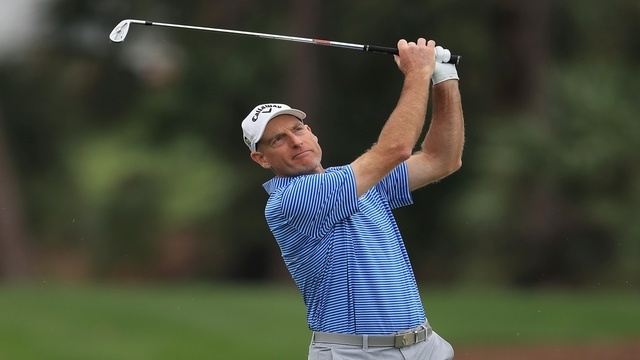 He finished runner-up behind Jim Furyk in 2010 and Furyk himself subsequently finished second in 2012. O'Hair, Senden (twice) and Singh have all also won the event and finished second and Patrick Reed, who was second last year, has finished runner-up twice. Having trailed by six strokes after round one two years ago, Hadwin hit the front at halfway and he extended his lead to four with a round to go but straightforward front-running winners are a rarity here of late. Jim Furyk was three clear through 54 holes before winning in 2010 but he's the only other winner to hold a clear lead going in to the final round in the last 12 years and nine of the last 12 winners have come from behind. Having sat second at halfway, trailing by two behind Corey Conners, Casey began the final day trading at [120.0] after a poor back-nine on Saturday had seen him drop outside the top-ten. He missed the last six greens coming in on Sunday but managed to scramble his way in and post a score that nobody else could match. Casey recorded the win having made just 21 putts in round four but he was far from the first winner to come from off the pace. The 2016 winner, Schwartzel, who was matched in-running at a high of [90.0], trailed by four after rounds one and two and he was a [32.0] chance on Sunday morning, as he trailed by five. The 2015 winner, Spieth, was matched at a high of [30.0] after a slow start in 2015 and runner-up, Patrick Reed, hit a high of [150.0] after he struggled at the beginning of the week. Spieth sat tied for 38th and five off the lead after round one and Reed trailed by seven in a tie for 80th but as many others have done before them, they were able to make up the lost ground. Having hit a high of [290.0], Senden was still tied for 35th and fully eight shots back at halfway five years ago, Mark Calcavecchia, the 2007 winner, was ten back after round one and still six back at halfway and although he was tied for the lead after round three, Streelman was eight behind after day one and still seven behind at halfway six years ago. Luke Donald won a four-man playoff here in 2012 and he and his playoff protagonists had all started slowly. They were five, six, six and eight strokes back after round one and still three, three, four and seven back at halfway, so don't give up hope if your picks don't really spark on Thursday or Friday. This is definitely a course where lost ground can be made up over the weekend and where we can expect late drama. Reed who was matched at [1.71], was the only other player to hit odds-on last year but Justin Rose and Tiger Woods both traded at less than [2.5]. Having started the day four in front, Hadwin double-bogeyed the 16th hole two years ago to lose his outright lead and to go from long odds-on to odds-against. The third round leader in 2016, Bill Haas, was matched at [1.26] before getting beat in extra time and the 54-hole leader four years ago, Ryan Moore, still led by three with just six to play but having been matched at just [1.42], he played the last half a dozen holes in three-over-par to miss out on the playoff by two strokes! This is clearly not an easy place to get across the line from the front. 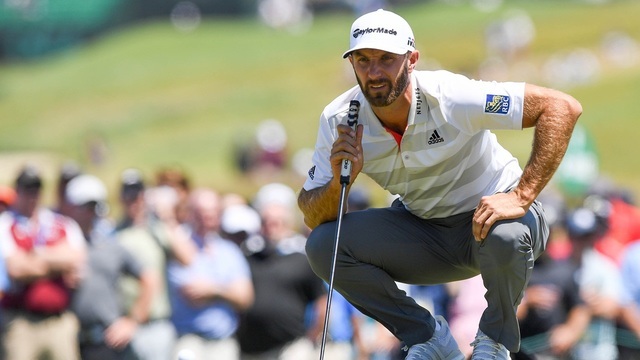 Dustin Johnson hasn't been here since he missed the cut in 2010 so he doesn't have any course form but he was the only player to break 70 in all four rounds at Sawgrass last week and he's one two of his last five starts so he's more than justifying his place at the head of the market. Second favourite, Jon Rahm, is making his course debut and looks opposable from the start given he has to recover from Sunday's disappointment at Sawgrass. He led through three rounds there but he lost his way quite badly having traded at odds-on in round four. Jason Day was another to slip down the leaderboard on Sunday at Sawgrass but his eighth placed finish was a decent effort given he'd withdrawn with an injury the week before. This is Day's first visit since 2013 and he has course form figures reading MC-MC-61-51-20-43. They're aren't very inspiring but he can't be ruled out easily given he was fifth in the Framers Insurance and fourth at Pebble Beach before last week's effort. I'm playing just four from the off here but two are huge priced outsiders. 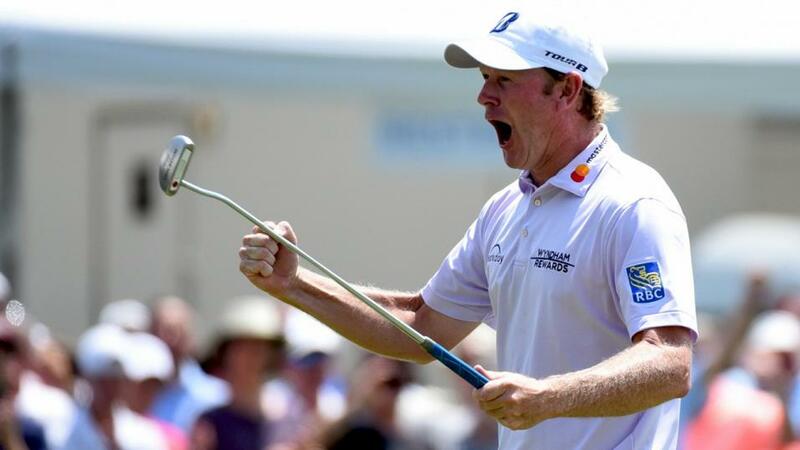 Brandt Snedeker is a very straightforward selection. He has form at the courses that correlate with Copperhead and he was eighth here in 2008 and fourth in 2011. He won the Wyndham Championship on another venue that's not too dissimilar to this one last year and he was fifth at Sawgrass on Sunday. He's just a very obvious pick at [50.0] with both course and current form. Ollie Schniederjans caught the eye at Sawgrass too, where he was matched at just [12.0] in-running. Like Snedeker, Schniederjans also has form at the courses that correlate and I'm particularly keen to get with him now that he's switched coaches to Butch Harmon. Sam Burns isn't in great form but he sat fifth here on debut with a round to go before finishing 12th last year and he's a terrific putter on Bermuda. And finally, I've backed Jason Dufner here umpteen times, maybe he'll come good when I'm least expecting him to? I'll be back on Thursday or Friday with the In-Play Blog.